The Paris Montmartre city walk explores the rich, artistic history of this classical area and the world-famous Sacré-Coeur Basilica. Opened in 1889, the Moulin Rouge remains one of Paris' most legendary spots. But what is it about this cabaret that has awed so many - even inspiring a hit Hollywood movie? Here are five facts about its sensational beginnings that made history. This cheeky dance is synonymous with the Moulin Rouge, whose dancers elevated it to an art form, attracting visitors from across the world. 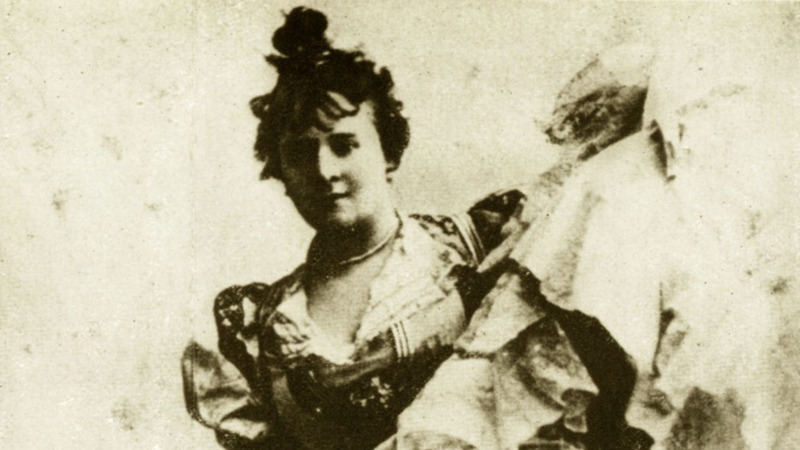 Immortalized on the Moulin Rouge’s iconic poster, La Goulue was the star of the cabaret from the very beginning. The venue owes its early runaway success to her outrageous antics. Even the Prince of Wales visited the Moulin Rouge at the height of its popularity. Recognizing him in the crowd, La Goulue famously screamed, "Hey, Wales, the champagne's on you!" 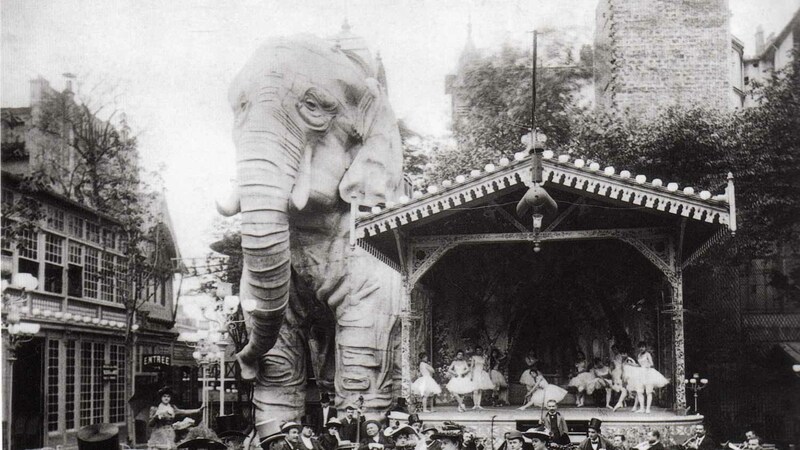 The elephant from the movie really existed. It was so big that a staircase ran up its leg and a hidden stage was in its stomach, housing exclusive performances for male audiences. 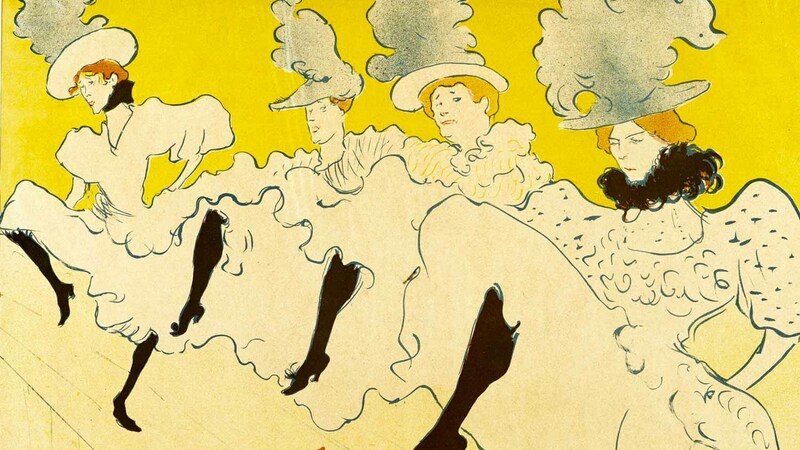 Scandal was commonplace, but no performance caused as much furore as an Egyptian-themed dance in 1907, resulting in a riot after two female dancers shared an amorous kiss. True to its roots, the Moulin Rouge's performances remain racy – though always tasteful, of course – and thus may not be suitable for children. While children above the age of six are allowed in, some parents may prefer to treat themselves to an adults-only night out and find a babysitter for the evening. As a high-class venue, the Moulin Rouge expects visitors to come smartly dressed. A jacket and tie for men is appreciated, while shorts, sports clothing, and sneakers are not allowed. Although it is necessary to reserve your tickets for the show and dinner, tables are assigned on a first-come, first-served basis. 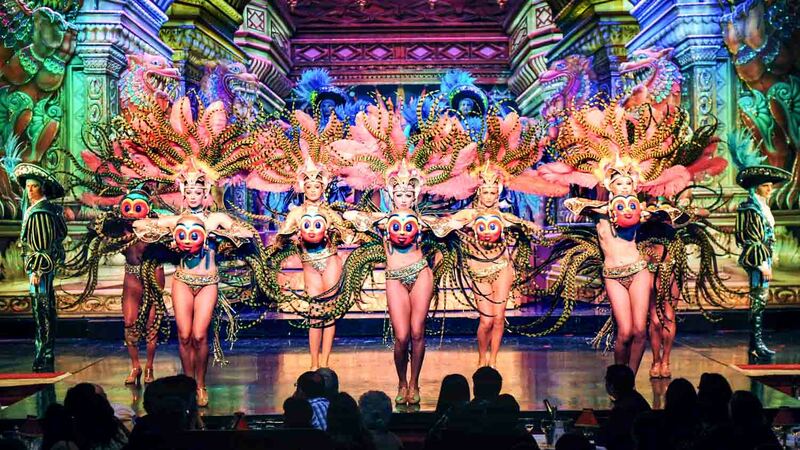 It's worth arriving early to score a good table near the stage to best admire the spectacular dances, lavish costumes, and elaborate sets. Moulin Rouge is open all year, except for major holidays such as Christmas and Easter. Opening hours from 7PM. Prices vary depending on the tickets purchased. 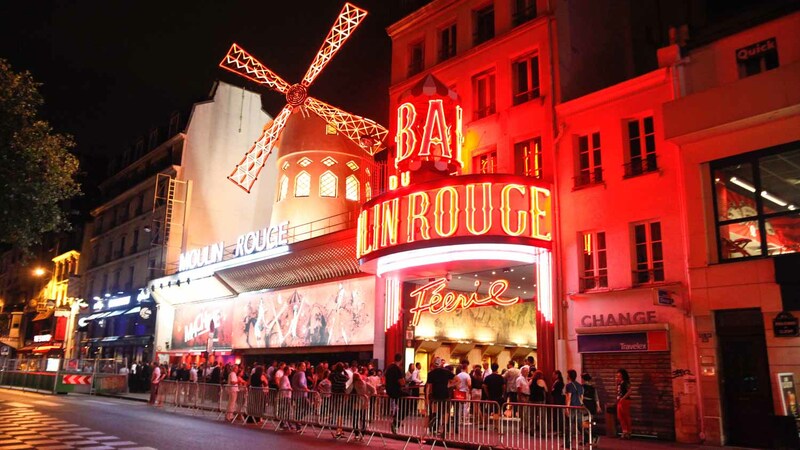 Moulin Rouge is located at 82 Boulevard Clichy - the nearest metro station, on line 2, is Blanche. Tracditional cabaret show with a great dinner! The river cruise was so beautiful and Moulin Rouge is a MUST SEE!! Everything was on time. We bypassed all lines. Both events were great!! I would highly recommend this tour!! We were warned there would be a queue but it moved quickly and shown to our seats within 10 minutes. Staff friendly. Show lasted 2 hours with no break and variety of acts. The show was first class and extremely entertaining. Our first night in Paris and this was spectacular! We loved the show - the costumes were beautiful as were the girls! The acts interspersed with the dancers were excellent! It was an evening we will not soon forget! This was so worth it! Loved the girls, costumes, the dinner and champagne.. just awesome event in Paris!